Starbucks Sous Vide Egg Bites Recipe using your Instant Pot. Smooth, creamy and lighter on your wallet. These Starbucks Sous Vide Egg Bites are filled with bacon, cheese and flavor. Starbucks Sous Vide Egg Bites. Even the name exudes richness, creaminess and sinfulness. At $5-$6 per pop they should be. Instead of venturing out every morning for our latest obsession we decided to make these at home utilizing the same ingredients listed on the Starbucks website. Starbucks Sous Vide Egg Bites are usually baked using a Sous Vide machine but most American homes don’t have one. For good reason. So we dusted off our Instant Pot and went to work. These Sous Vide Egg Bites are velvety, springy and light. Without the Starbucks price tag. Keep in mind, nothing but utilizing an actual Sous Vide machine will duplicate the exact texture of the Starbucks version, but this gets you pretty close. UPDATE- A healthy Starbucks Egg Bites Roasted Red Pepper Version is now posted!! This sous vide egg recipe is simple to make with only a few staple ingredients. Starbucks egg bites ingredients include: egg, bacon, cheese, cottage cheese, unsalted butter and a few ingredients we happily leave out like carrageenan. Looking for side dish to make it a brunch? 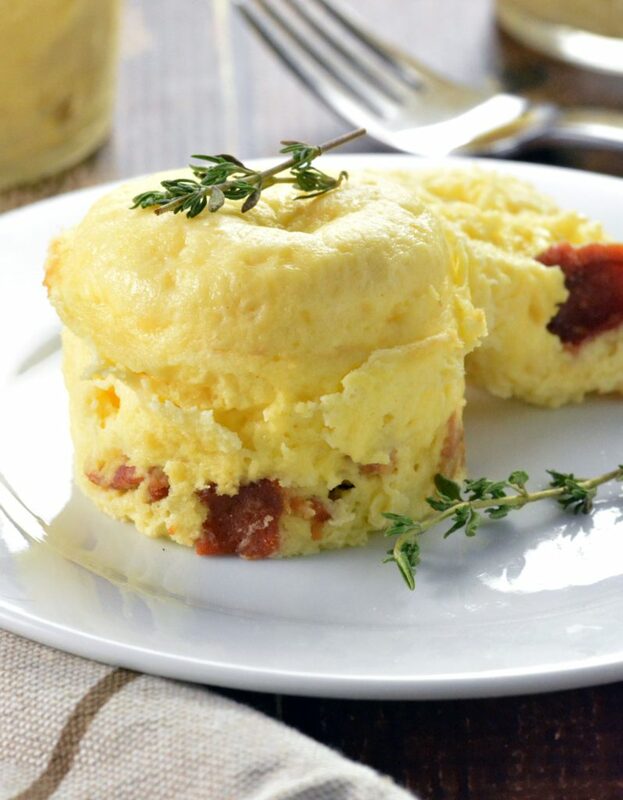 Our Instant Pot Little Smokies would pair nicely with these Sous Vide Egg Bites. Starbucks version utilizes Gruyere and Monterey Jack cheese, however we’ve tested it with smoked gouda, pepper jack and cheddar with success. Swiss cheese works, however the flavor is lacking. Mix and match depending on what you have in your fridge. This recipe also works well with cream cheese vs cottage cheese. It’s not quite a light, but the flavor profile is consistent. Make sure to utilize your blender for a consistently smooth texture. Don’t have heavy cream or prefer to cut down on the calories? Feel free to leave it out. 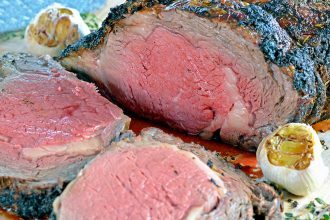 We find the flavor is on par, however it helps smooth out the texture to get that Sous Vide smoothness. 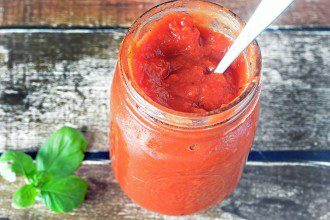 We utilized the popular Instant Pot Duo Plus and these Ball 4 oz Mason Jars for this recipe. Interested in keeping the circular shape of the Starbucks Sous Vide Egg Bites? Use this baby food freezer storage tray in place of the mason jars. UPDATE- You can also make these cute Homemade Pancakes with this silicone tray! Starbucks Sous Vide Egg Bites are perfect for those on Weight Watchers, 21 Day Fix or even the Keto diet. Just a few adjustments would be needed. Here is our version of the Starbucks Sous Vide Egg Bites Recipe. Be prepared to enjoy the goodness from home. Starbucks Sous Vide Egg Bites Recipe using your Instant Pot and Blender. Smooth, creamy and lighter on your wallet. These Starbucks Sous Vide Egg Bites are filled with bacon, cheese and flavor. Put 1 cup of water in the bottom of your Instant Pot followed by the trivet that came with your pot. Cook the bacon utilizing your favorite method to cook bacon. Crumble and evenly distribute into 4 mason jars. Add the eggs, cheese, cottage cheese, cream and salt to the blender and blend until smooth (about 15 seconds). Add a dash of hot sauce if desired and blend for a few more seconds. Divvy the egg mixture evenly into 4 mason jars. Cover each mason jar loosely with foil and place gently in the Instant Pot. Place the cover on the Instant Pot and select "Steam" and set to 8 Minutes. NPR (natural pressure release) for 10 minutes and then quick release (QR) the rest. Carefully remove the egg bites from the Instant Pot and let cool down for a few minutes. Enjoy immediately or refrigerate for up to a week! I actually left the keep warm function on and they turned out perfect, but next time I’ll turn the pot entirely off and see if it makes a difference. They were delicious!!! I made these for the first time this Christmas morning for brunch. They were perfect! I’ve gotten the ones from Starbucks before and they are indeed delicious (yes, even the egg white and pepper ones are great.) so I was happy to find and try this out. Not only did I make them at Christmas 2018, but I’ve made them numerous times since, including today (1 day before Easter morning 2019!) 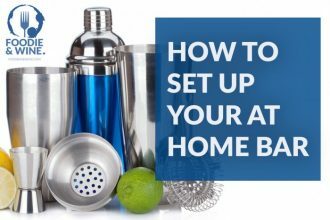 It makes 7 egg bites easily, and they refrigerate and reheat beautifully. Thanks for sharing such an easy and delicious IP recipe that nails it every time. Fantastic! I have the baby food mold thing and instead of foil I used this silicone mat that came with an accessory kit purchase. Worked better than foil that I had used the last time. I made a full tray and they ‘bloomed’ out of it….but not making a mess. Other changes….I can’t have much cheese so instead of the cheddar, I added a few bits of shredded Oka cheese to each mold, and also did not use the salt. I also added mushrooms, which I cooked briefly in the microwave to remove some of the moisture. Can’t wait to eat my make ahead breakfast tomorrow! These are delicious! I need to get another silicone baker so I can do 2 at a time! Thank you! OH.MY.WORD. These were to die for! I was concerned about there not being enough, so added another 1/4 recipe’s worth of ingredients. OOPS! Using the silicone cupcake molds sitting on the trivet, I got 12 muffins! Had to cook in two batches! I loosely set a piece of foil on top of the cups… perfect! I will definately be making these on a regular rotation! They reheated easily in the micro, but were just as good cold! I was wondering about making this as a single quiche. Maybe in a 6″ pan? Possibly double the cook time? Jaquelineofalltrades, did you alter the cook time? I was thinking I could probably eat more than1 4oz serving. After hearing all the rave reviews about this recipe, I decided to try it out this morning for my hubby, who loves a good egg dish. Wowweeee – he loves them and so do I!! He even took the extras with him to work for lunch and asked me to make them for Christmas morning breakfast! I followed the recipe to a “T”. I’m going to try some variations next time around. 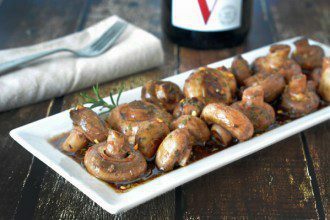 Thank you for an easy, delicious recipe to add to my repertoire! I used the 4 oz Ball mason jars with the lids screwed on “finger tight” (not all the way) and these were fantastic. SO MUCH BETTER than the baked versions I’ve been choking down for Paleo breakfast! It looks like the Instant Pot will fit two layers of Mason Jars stacked. Has anyone tried this to produce twice as many in the same amount of time? Do you leave the “keep warm” function on or off for the NPR? I bought the silicone container and made these. I didn’t have heavy cream so I just improvised with some Fage 5% Greek yogurt and milk to get the consistency of cream. These. Are. Awesome. Thank you! Omg! 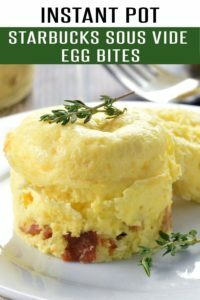 I’ve made several different egg bite recipes, but these are SO CLOSE to the Starbucks version! I used Gouda and bacon and damn they were so good! I’m happy you like them! They are one of our favorite. Is it weird to say I want to kiss the creator of this recipe? Cause I do. I followed it to a T but used gouda cause I couldn’t find gruyere. I am OBSESSED with the Starbucks sous vide egg bites. They are my top 5 favorite foods for real. I was skeptical these would come out as good but they did!!! My life is complete. They taste almost identical. I used the silicone egg bite tray instead of mason jars. I can’t sing enough praises of this recipe and how close it is to the Starbucks one. 10 stars, 5 isn’t enough. I’ve never had the ones at Starbucks but these were AMAZING!! I followed exact directions and they were perfect. Thanks for sharing! These are SO delicious! I’m getting a kitchen re-do, so I made this in my little bathroom that has just enough room to sit my instant pot on the counter. I’ve got my immersion blender packed on top of all the other stuff and it does a great job. I love having these in the fridge for a quick snack or a warm breakfast while my kitchen is out of commission – thank you! These are amazing! I made them exactly as written in 8 oz mason jars, except I didn’t use any bacon or other “toppings”. My new favorite! Thank you so much for sharing! Made these today for food prep of keto breakfast for the week. Used heavy whipping cream and cream cheese, all else per recipe. Turned out great. Thanks for sharing recipe. I also used a tip I saw earlier….with the silicone molds, fold a strip of foil and lay under each mold to help you lift out of the IP…kind of like a little fold rope to hoist out the hot mold. I ran into a discrepancy on the amount of shredded cheese called for between the print and online version of the recipe (which has since been fixed). I panicked, pulled out the *some* of the shredded cheese that didn’t already have an egg sitting on it, added an extra egg to compensate, overflowed the silicon tray pockets, set tin foil way over the top and just went for it. They still came out perfectly, and my husband wants me to make them again tomorrow! A recipe even I can’t mess up—thank you! These sound fantastic and I know I read comments that 1/2 and 1/2 was used without issue. I’m nervous about cuddling. I’ve tried a pasta recipe before with half and half and read up on it that it doesn’t contain enough fat like heavy cream and that was the issue but I’m very new to instant pot and most likely user error lol. Please confirm info :) thanks so much! I make these all the time and have had no cuddling issues with half and half in the instant pot. Made this morning using silicon muffin molds on trivet. Same cook time. Worked perfectly. No cottage cheese so swapped ricotta. Very good but I want to keep experimenting. What a brilliant solution for keeping appetizing and healthy protein source on hand for rushed mornings (something which has always challenged me). I used whole milk and they came out fine. I’ve made these with Almond Milk or Coconut Milk and they still come out great. I don’t think it matters much what type of milk or cream you use. I also think you mean curdling, not cuddling however I’m inclined to cuddle with these things too! I get all kinds of cuddles when I make these!!! Hubby loves them!! Does anyone have an alternative to this without an instant pot or Sous Vida? yes, you can buy a egg poacher and do it that way. I was wondering the same thing. I thought maybe just a steaming pot? Preheat oven to 375. Put the mason jars in a shallow nine inch cake pan. Pour boiling water into cake pan to reach halfway up the jars. Bake until no longe jiggly in the center – time will depend on what sort if cheese you used. Should usually be 15 to 20 minutes. I made these like the recipe called for, other than adding the (optional) cream and found them very salty. Maybe they would have been less salty if I did use it? Other than that, they were awesome! Luv the texture and that they can be frozen and reheat well. 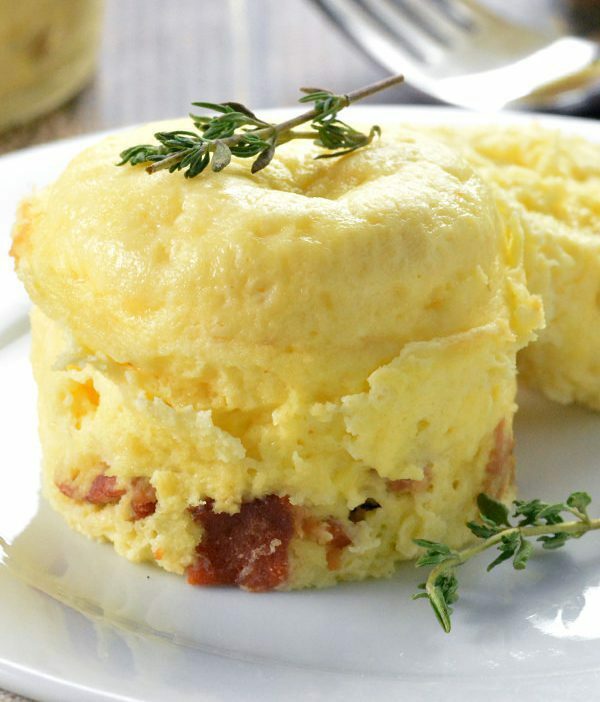 I was making eggs in muffin tins (diff recipe) and although excellent, if frozen and thawed, they were very watery. I read most of the posts here before doing them but didn’t see the one about filling 3/4 full. It didn’t help that I could only fit 7 jars in the IP and I doubled the recipe for 8. I used the same small mason jar as mentioned in the recipe and filled to where the screw cap starts. Most puffed up quite a bit, but after cooling went down and fit in the jars. Glad I didn’t use the lids as someone suggested as I think they would have fallen off. I used one sheet of foil cut to fit the inside of the IP. Can’t wait to try other variations. Thanks for sharing your recipe! Making right now! Can I freeze these and warm as needed? Made them as printed. Very yummy. I did not cover with aluminum foil. Oops! They turned out fine. Cannot make again will try “lighter” options. Your narrative mentions unsalted butter, but is not in the actual recipe. Should there be butter added? Hi! Butter is listed in the Starbucks version – I was listing out what their version has so you could compare to this one! I can’t thank you enough for this recipe!!!! Just as good as Starbucks bites but better because I can customize and save money!! I used sour cream and half and half, and they turned out great. Thank you for giving me the confidence to just try it! These turned out great! Will try the Roasted Red pepper version next. Thanks! These are divine! Purchased the silicone cooker pans from Amazon and these turned out great. I used egg whites from a carton and chopped up sausage, some roasted red pepper, chopped up pepperjack sliced cheese no one wanted to eat and wow really good. You can make these any way you want. Very versatile recipe. Really delicious substitute for Starbucks’ egg bites. I found myself out of cottage cheese and instead used vegan chive cream cheese as a substitute. It turned out great! Fluffy and flavorful, and plenty satisfying for someone who is embarking on a low carb lifestyle. 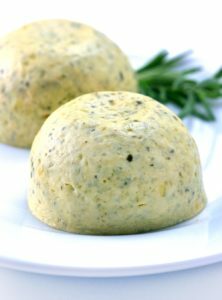 What brand vegan cheese did you use? I’m in the market and would love someone who’s actually had it! Mine came out under done. I popped in the microwave for a minute and they are still delicious. I will just try cooking for 10 minutes next time. Great recipe! Seems the recipe would work well with either 4 or 6 oz. ramekins with Pam. Both of what I ordered this week from Amazon. Did the work? I ordered the 6 oz from Amazon also but have not tried yet. I had some old ramekins, I don’t know what size. They did work, they look very fluffy and lovely. I don not have a trivet and plan on using silicone cups. Will this pose a problem? Any suggestions? I make these alot. I do 8 minutes in my IP covered with foil or parchmet parchment on top of my trivet.i use cottage cheese and some of my fave fillings have been ham, cheddar and potato. Mushroom and Spinach. Chicken, mushroom , cheddar and a drop of Buffalo wing sauce. They always come out fluffy and prefectly cooked. I use egg bite trays. Anything to lift them up. Ive used the rings from ball jars to set the jars on. If you have an IP you should have a trivet lots of recipes for the steamer mode. I have the silicone molds. Are there any alterations to the recipe using the molds vs the mason jars? I have read on a couple of other websites with similar recipes that you need to cover the molds tightly with foil. I followed the directions and mine don’t even seem like they cooked, the only thing I can think of is the jars were maybe too full. Any suggestions? That would be my guess for sure, but I’m not sure what jars you’re using. Retry and cut back the filling about 25%. I was thinking that maybe you used the InstaPot incorrectly. I’ve done recipes before and forgotten to close the vent. I made these this weekend using an aged goat cheddar plus some fresh goat cheese. They were absolutely amazing. These will be in my regular rotation. DELISH !!!!!! Unfortunately, I didnt have cottage but did have ricotta and used that instead and am here to tell you THEY ARE FABULOUS! I could have done at least 6- 4 oz jars. Quite tasty. Made with small ball jars, followed recipe exactly. Seems a little under cooked and soft to me. I guess when reheated in microwave, they will firm up. Any advice??? actually, now that they sat for a bit, they seem perfect! So glad to see this post – thank you. Mine came out just as you described initially and I wondered if it was OK. I was in a rush to eat it, and I did. However, saving the remaining 3 for later, glad to hear they firmed up some. Adjust more time next time. Did you let it release long enough? Adjust youir time & yes nuke them for now to finish cooking. I make these in little stainless steel bowls. if I halve the recipe, would the time stay the same? If you half the amount of mixture in each bowl that would change the cooking time. If you just half the recipe, but each bowl has the same amount of batter in it, no cooking time change is needed. Can you use the small Pyrex custard bowls, or any oven proof small bowl! I did and they were perfect! That’s what I used – worked just fine. Sprayed with Pam so they wouldn’t stick. I had thought about using some veggies like spinach. Any reason not to? I put in spinich, onion and tomato, they are delicious! I’ll have to try the onions and tomatoes next round! I’ve been playing around with this one and it’s almost perfect! Stay tuned. Was wondering the best way to reheat these bites! I have pre-made about 2 dozen for a party, and would like to reheat that morning without making them rubbery or dry! Any suggestions? This recipe also works well with cream cheese vs cottage cheese. It’s not quite ‘a’ light, but the flavor profile is consistent. I reheated one in the microwave for 1 minute. Not sure about 2 dozen but my one reheated perfectly. Not rubbery or dry. Still that beautiful delicious texture. WOW! These are so good! Perfect to grab and go! I just leave them in the jar and take it to work and throw it in the microwave! Sooo filling and tasty. Thank you for this!! Pingback: Meal Prep Sunday – Nomadic Gamers, eh! These are delicious and I have breakfast for the week. Made first batch single layer in 4 oz. ball jars. Made second round with two layers and both turned out wonderful! Used cheddar cheese and a little bit of mozzarella. If you use a jam jar and it seals, does it need to be refrigerated? You don’t have to get an entire sous vide machine (and what *would* be a good reason for not owning one, aside from price?) to do sous vide cooking. There’s this wand tool you can use now by clipping to the side of something like a crock pot insert and it does the same thing. But I bought them when they first came out. Maybe they jacked up the price when (some locations) they brought them back. Oh, Charbucks. I hardly knew ye. Hi! I really like the egg white version that Starbucks has. Any suggestions on how to make that one? Maybe use egg beaters or I think there is an egg white only by the regular egg beaters. May be silly question, but do you grease or spray the jars before cooking? Is it necessary? Yes! Eggs are notorious for sticking to pans/glass/anything it wants so I always give them a quick spray of spam if I’m using a non-silicone container. Do you need to grease the Mason jar to keep the egg from sticking? Is Pam spray required for the silicone molds? If you use the baby food trays do you cover them? with what? Thanks! Always cover them so the condensation doesn’t pool on the top. I use foil but others were going to try the cover itself. I can’t speak to how well it does however as I haven’t tried! I used the lid it came with and just kept it loose and it worked beautifully. I would like to make this recipe in a small 6×3 Fat Daddy cake pan. Do you think it would work? If so, would I cook it for the same amount of time? I haven’t tried, however a 6″ pan is really wide so I can’t imagine the center setting properly. Smaller containers are ideal. 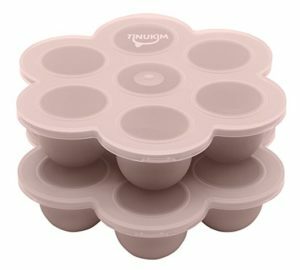 Would this work with silicone muffin cups? I’d fill them like 3/4 of the way full. It needs room to expand on the top. I did these this morning in the baby food silicone tray and filled them to the top. They didnt rise very much in mine. I was a little worried but they came out perfect. I assume the cheese is grated? I hand a little but of the egg mixture left after I filled the jars so I put it in a glass bowl in the microwave for a minute. It turned out great! I would make it that way again, especially when I don’t have time to wait. Yum! Thanks for this recipe! Can you stack the jars to make more than 4? Can you use half & half instead of heavy cream, as heavy cream is NOT Weight Watcher friendly but we still want that fluffiness? What are the adjustments for the baby food tray? No adjustments are needed. Just fill the amount of silicone trays as you have batter. Do you think you could stack one on top of the other with the baby food trays? Yes! Just be careful about how full you fill them so the bottom tray doesn’t rise too high into the bottom of the top tray. That’s the worse! I still think of things I donated years ago that I wish I had back. Good thing you saw this first!! Is there any reason why you couldn’t just lay the lid over the mason jar (without the ring) instead of covering loosely with foil? You can absolutely use your mason jar lid! I like having a smaller amount of items to wash and half the time I can’t locate the lids. Plus if the egg rises I like having the foil on top which allows for more expansion than the lid. Again, just a personal preference.